Her career as an artist was well established before she became aware of the potential for art to act as an energy channel between people. Having embarked upon her own soul journey, which involved the realisation of her channelling abilities, she is keen to help others find that connection to themselves through her work. Each soul painting is infused with Breda’s unique gifts. She is grateful to be able to create art in this way to assist others in their journey of self-discovery. 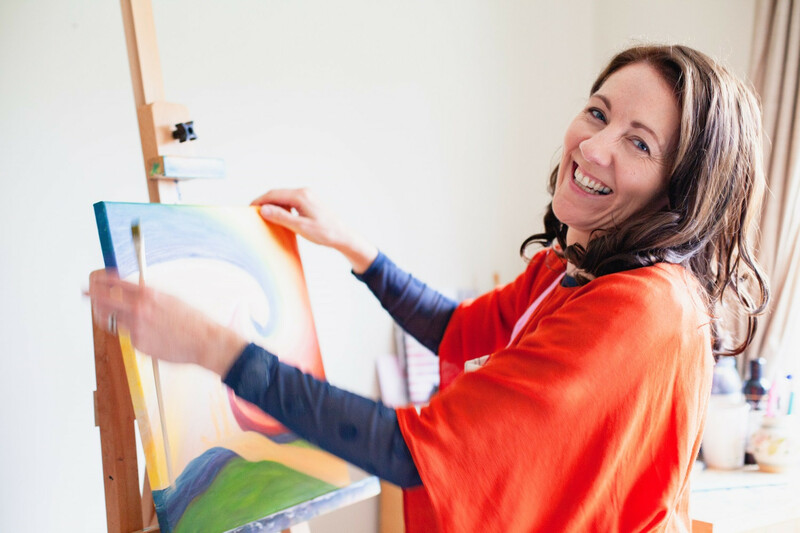 Breda's blog posts also refelct on how she struggled to face her own fears and her personal grief that lead to a deeper awareness of the role soul paintings. Please feel free to get in touch here, if you have any questions, the chances are that many others maybe wondering about the same thing. Your question could be the inspiration for a blog post that will help give more clarity to the process and role of soul paintings.